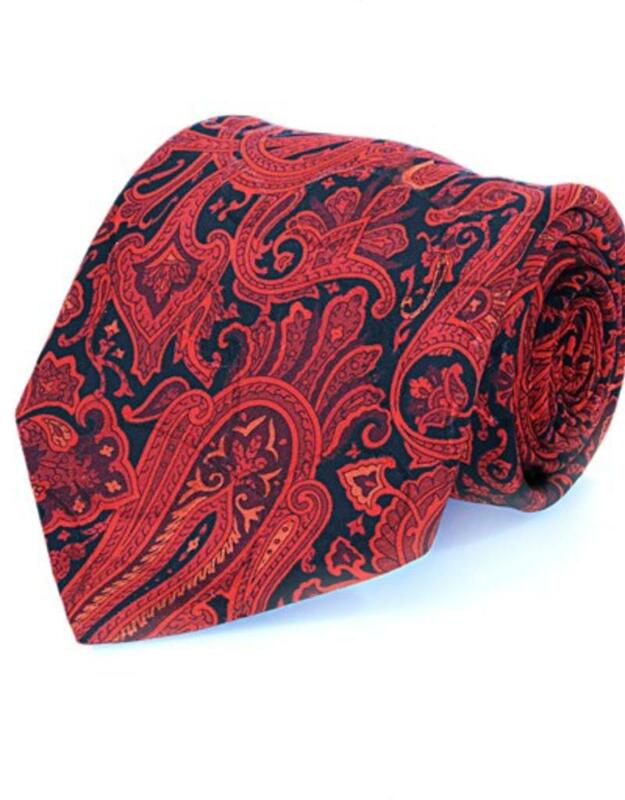 The connoisseur’s choice - Seven fold tie, made out of a single piece of fabric that is folded seven times. 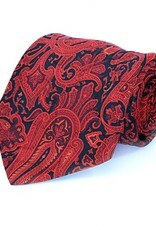 The result: a thicker feel, incomparable drape, a larger looking tie knot, and a more hefty weight. Crafted in pure silk crepe with woven swirl texture and screen printed paisley pattern. Black and Red. - Pure silk - Dry clean - Handmade in Italy - Length 150 cm, Width 9 cm.